Special Launch Sale ! For a limited time get Madrid Subway for only 0.79€. Original price 4.99€. 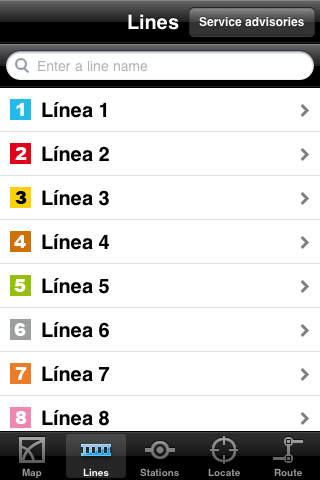 Madrid Subway is a comprehensive guide to traveling through Madrid. 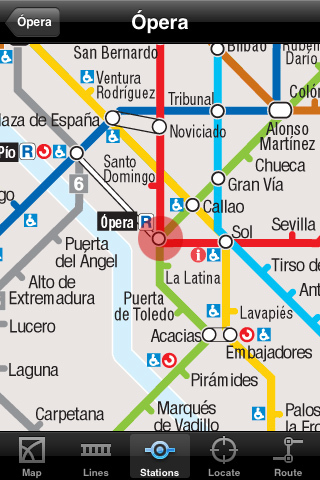 - Official map of Madrid subway. Landscape and portrait modes are available. 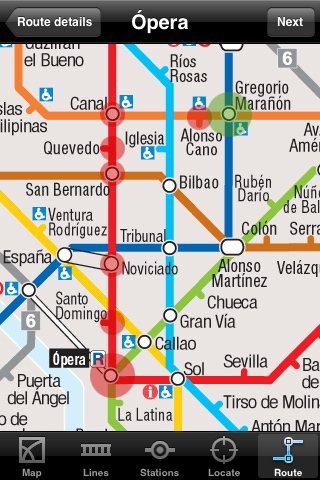 - Detailed map of all lines in Madrid. - The trip planner tool allows you to find automatically the best route to get to your destination in Madrid subway. Travel time is also estimated. 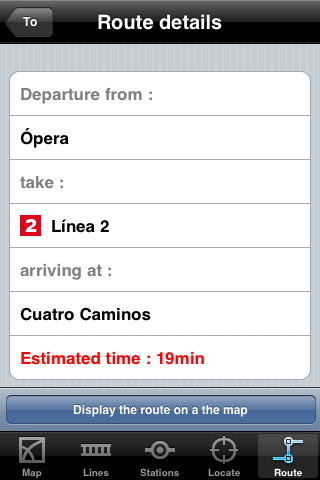 - The application locates the nearest subway stations from your position in Madrid. It is possible to increase or decrease the distance of localization in the settings. 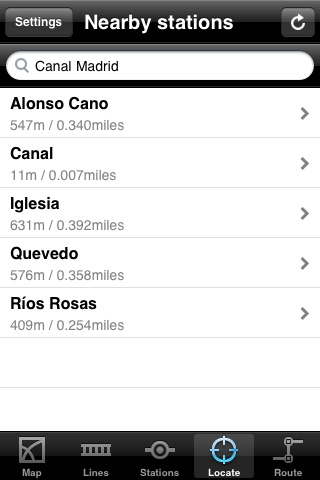 - You can provide an address in Madrid, the application indicates the stations closest to that address. This application is authorized by CTM (El Consorcio Regional de Transportes ofrece información del transporte público en la comunidad de Madrid). You can support us right now by adding a short review of Madrid Subway on iTunes, this really gives us the energy to improve the application every week. Much appreciated.